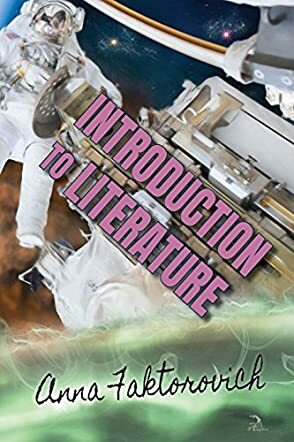 Introduction To Literature is the second book I have reviewed by Anna Faktorovich. I anticipated reading it because I really enjoy her writing style. She is informative, humorous, and insightful. I felt her previous book was funnier, but that particular topic lent itself more to humor than this one. Literature, in my opinion, is more serious than the topic of publishing and how it mirrors the media culture we grow up in today. Introduction To Literature is a book I wish I could have read in my freshman year in college, or at any point in my university experience. It is full of useful information about how to understand and comprehend literature. It gives us a lesson on literary criticism and some of the great masters of world literature. Introduction To Literature is laid out in a neat and logical fashion. It starts with comprehending and writing about reading. It then moves on to types of literary criticism. It flows well and the writing, as all writing I have read by Anna Faktorovich, is superb. We move on to fiction terms and then there is a chapter on a giant of American fiction and one of my personal favorites, Mr. Edgar Allan Poe. This was my favorite chapter, but I admit that I also learned a lot in the chapters on Jonathan Swift and Miquel de Cervantes, with whom I am less familiar. Anna Faktorovich gave me new insights into these writers and their words, and I hope I can use this knowledge to develop my own literary abilities. All lovers of good books will appreciate and enjoy Introduction To Literature.